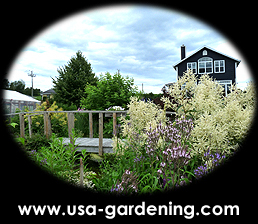 Attach a 2 X 4 inches treated wood board on the lower of the door threshold. 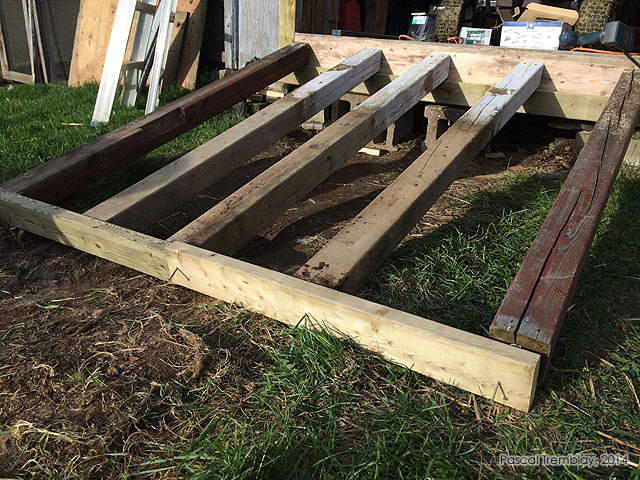 Consider the height of the stringers and the thickness of the decking prior to install the ledger board. 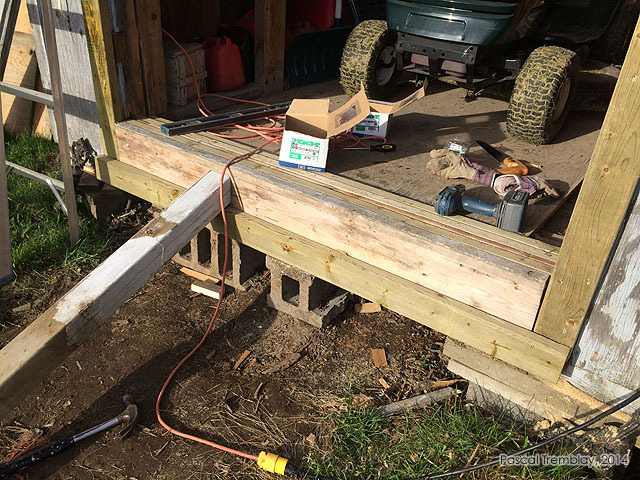 The access ramp will be fitt at the height of the shed door threshold. This board will support all the weight of the ramp and anything over it. It must therefore be screwed securely to the shed. To avoid the cleaving, drill the ends of the ramp stringers before screwing them. 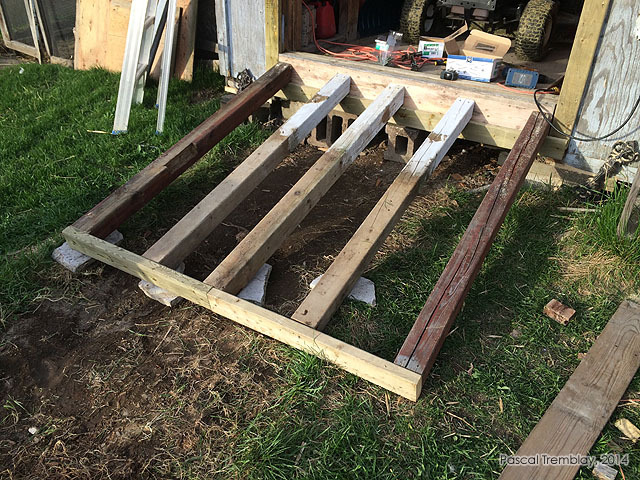 For a sturdy ramp, add ramp stringers. 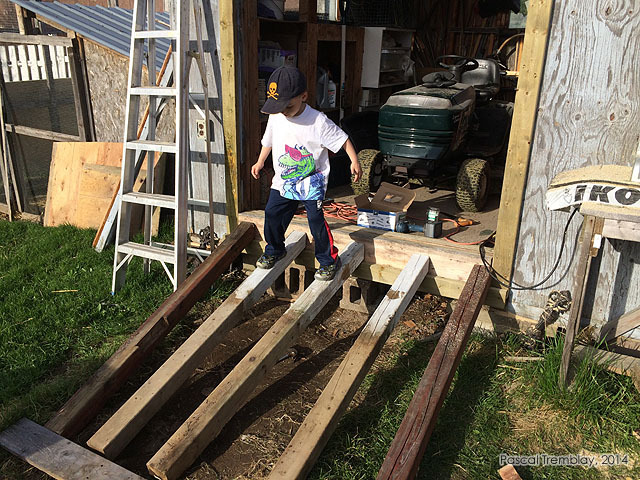 Level the ramp with flagstones. 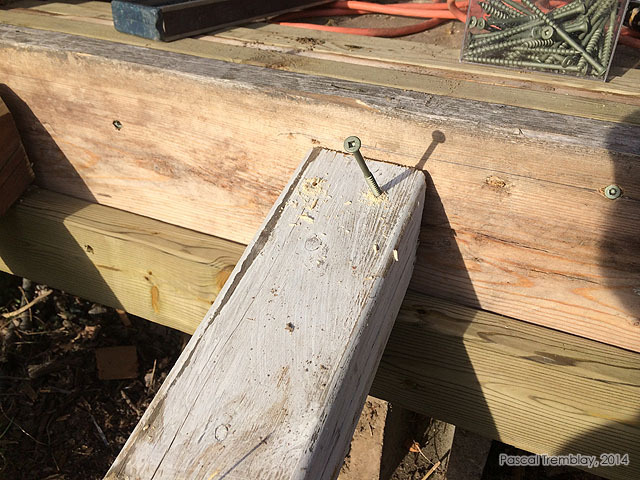 Screwing the base of ramp frame with 4-inch treated wood screws.